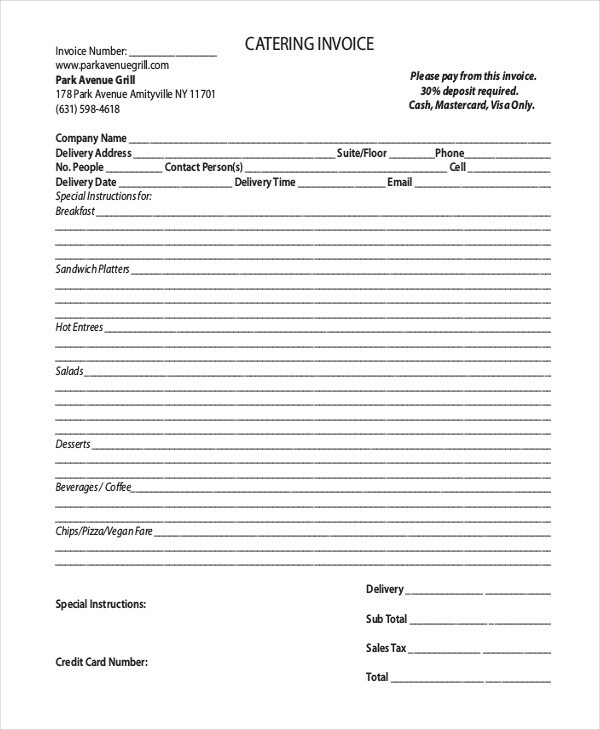 Invoice in pdf are provided upon the completion of a business transaction (usually a sales transaction). In most cases, a service provider often prepares an invoice addressed to the client. An invoice often contains a list of the rendered goods and/or services, including the total payable amount to be payed by the client. Issuance of invoice can be applicable to business transactions involving the exchange of goods and services between a service provider and a client (or at times from one business to another). Like receipt invoice, it is considered to be a proof or evidence of such transactions and the agreement between both parties. 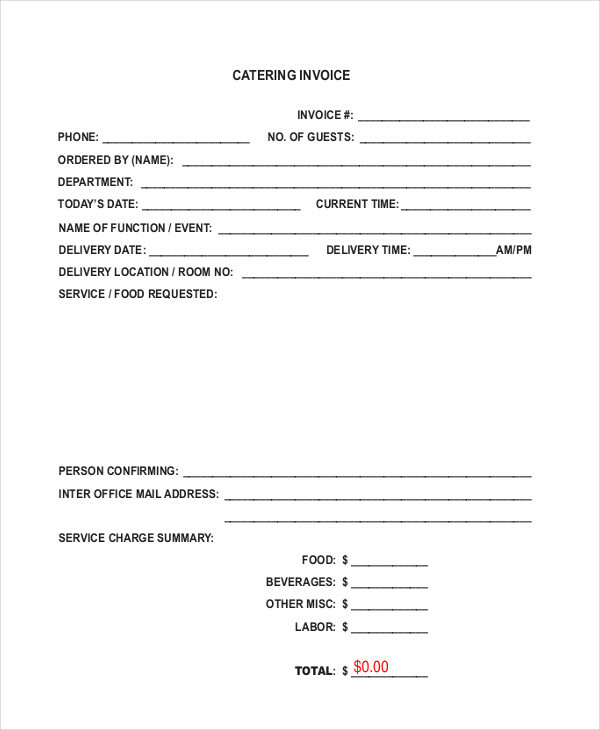 What Is a Catering Invoice? 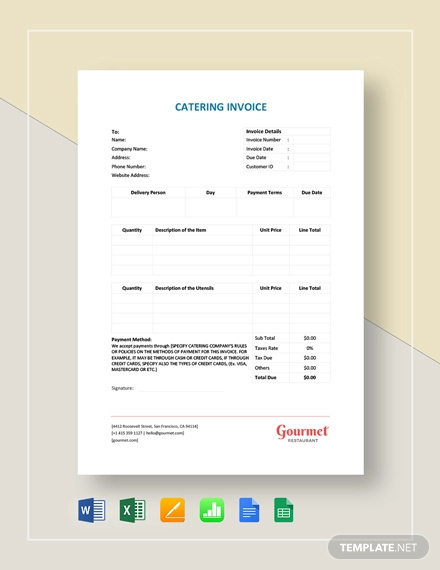 A catering invoice in word is an invoice issued by individuals providing catering services to clients. 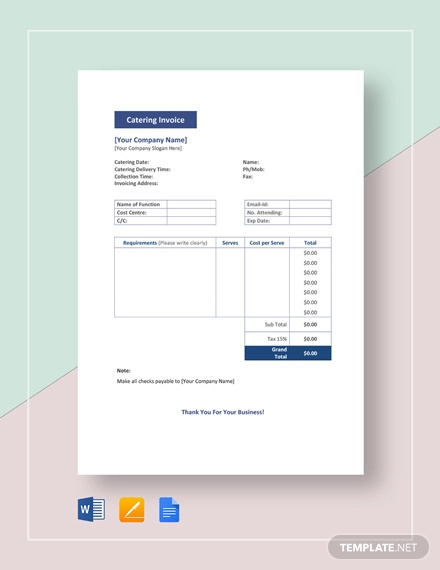 Catering invoices is considered to be a bill, since it is typically sent by the service provider with the intention of requesting payment for the different goods and services provided to the client. 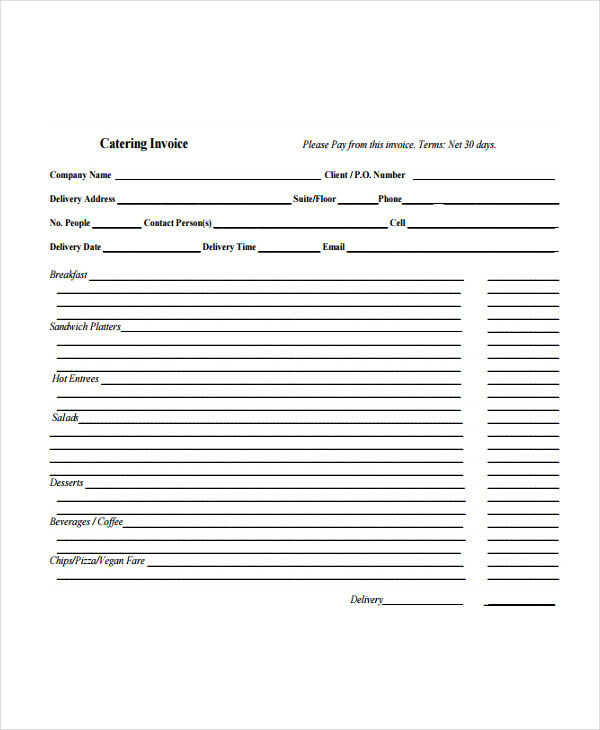 Some information provided above may or may not be included in some catering invoices, depending on the service provider. 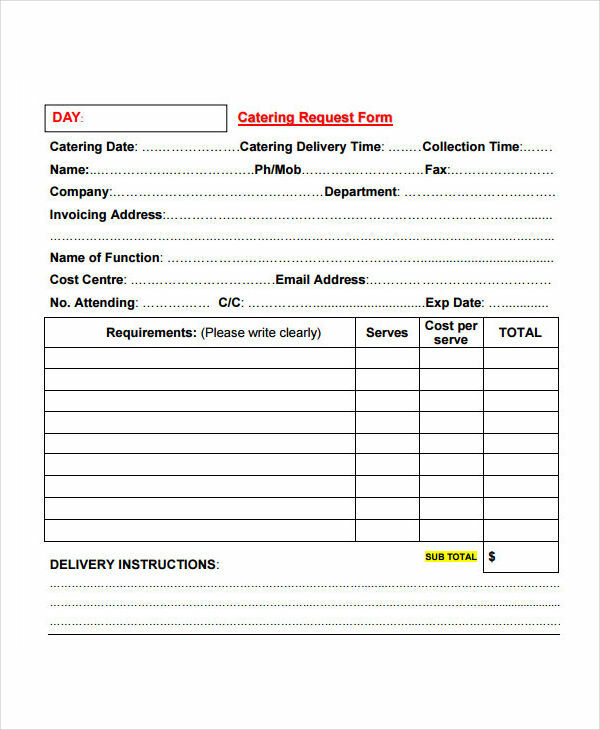 Additional information not found in the list provided above might be included on some catering invoices. 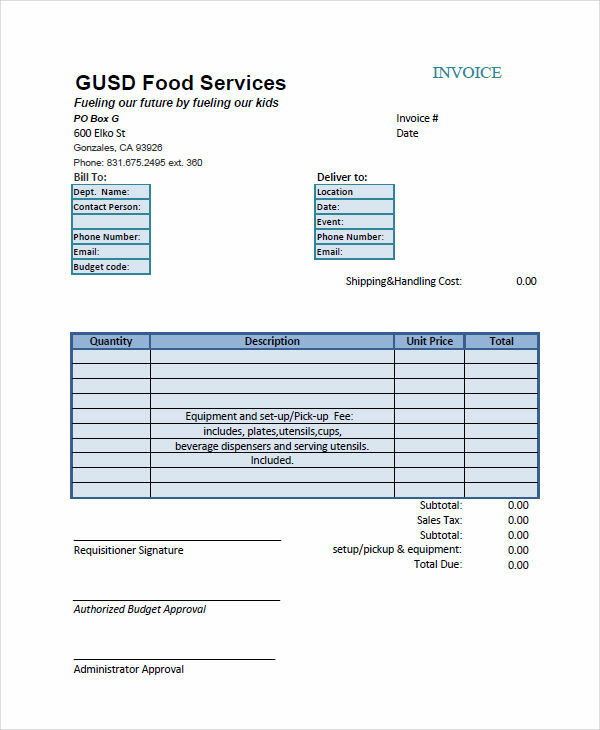 A catering invoice, or invoices in excel, can be important in many ways. An invoice basically serves as a record of the transaction (for both the client and service provider). It may be sent as a bill, especially if the transaction is not yet paid in full (or at all). This may also serve to remind the client of the payment and its due date. Clients typically use invoices to identify if the items listed are correct, and if the prices indicated for each item is accurate. Both parties keep invoices to monitor their expenses and overall finances. Other details included in an invoice may be used for clarifications or questions. 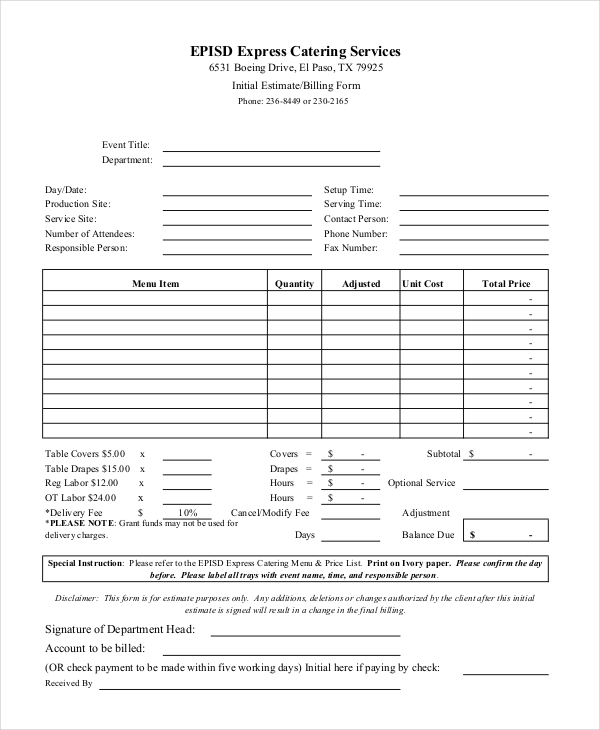 An invoice may or may not include several terms and conditions of the transaction, especially the payment to be agreed upon by the parties involved in the transaction. In most cases, the signature of both parties is provided to validate the invoice. 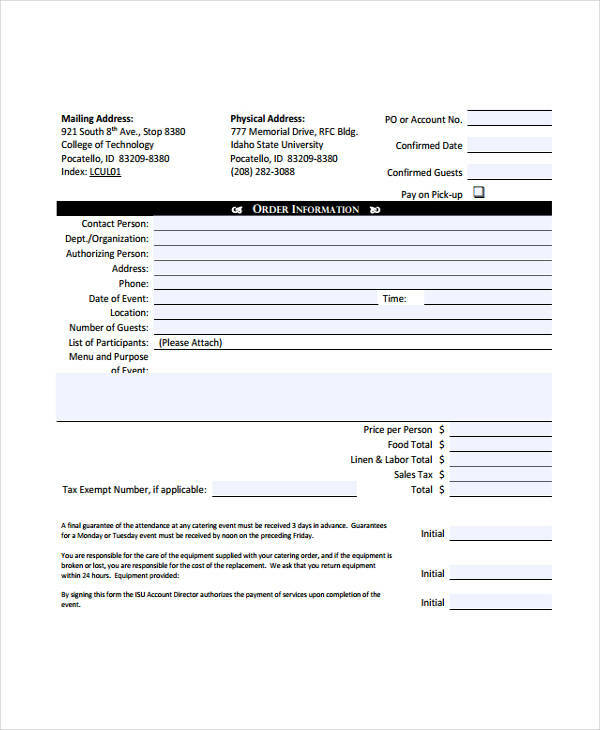 In case of conflict or violation of the given terms, one party is allowed to present the invoice form as an evidence during a legal procedure (usually in the court of law).